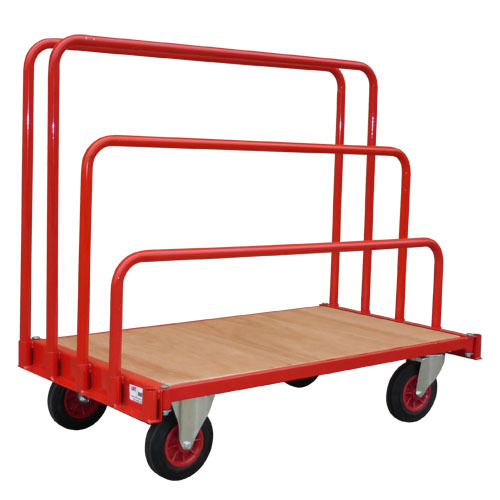 Heavy duty plywood deck platform trolley with two 2 tall frame supports supplied as standard. Additional frames as well as tall or short frames are also available. 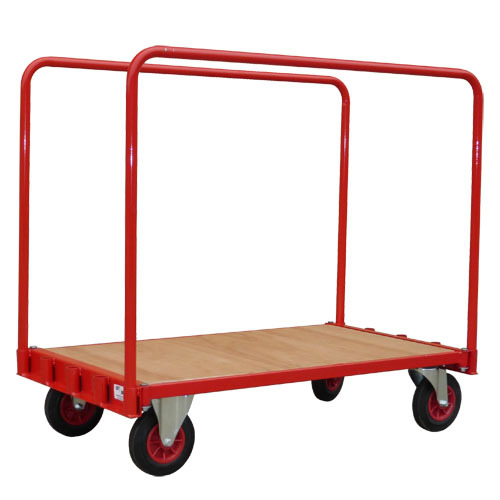 This platform trolley is available with optional pneumatic wheels (call for details).